The #1 disaster threat to homes and families in the U.S. is home fire. An average of 7 people die every day because of home fires and more than 60% of those deaths occur in homes without working smoke alarms. Alarms more than 10 years old may not function properly, even with new batteries. Interested in volunteering? 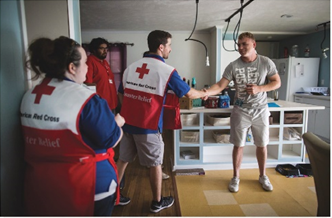 Join the Red Cross on the Saturday before MLK Day and volunteer to install 1000 smoke alarms in homes that need them. Call 503-528-5624, email volunteer.cascades@redcross.org or visit redcross.org/PortlandDayofService to volunteer.